Dutch stairways have a reputation for being steeper than stairs elsewhere. 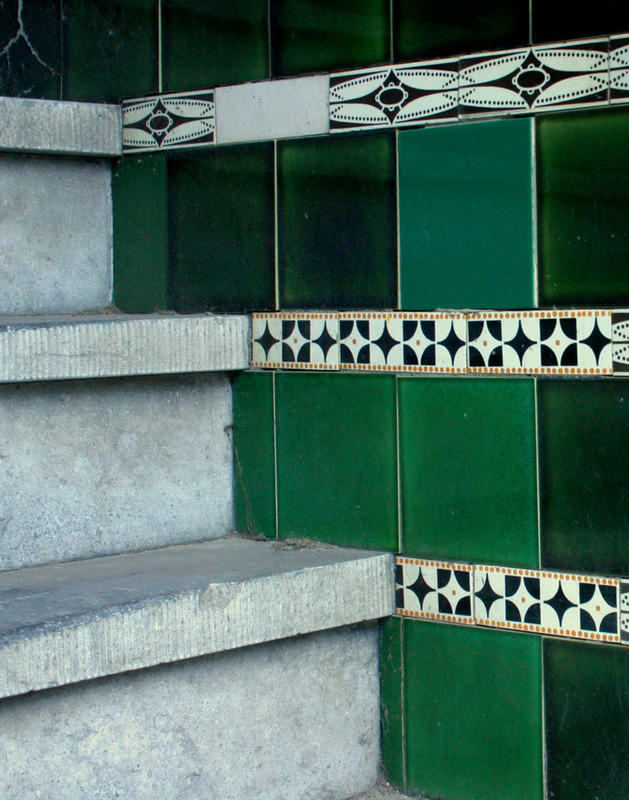 It's especially true of the old quaint buildings in Centrum Amsterdam: the older the building, the steeper the stairs. This seems to have come about because of building practices back in the 1500s and 1600s. The earth under Amsterdam is sandy and soft, so for every new building they needed to drive a lot of wooden piles into the ground just to give a stable foundation. Some builders were doing it wrong, and buildings would start to subside and tilt dangerously soon after being built. So at some point the city took charge of the pile-driving, and required building owners to pay a tax for it. The tax was based on how wide the house was. Savvy house-builders opted to keep their houses narrow. And they maximized their floor area by making their staircases short and steep. Why waste good real estate on just going up and down? The steep stairs in some of the quaint old hotels and houses take some getting used to. Going up can be a dizzy adventure, and coming down again can look like a death sentence. But most people do survive it. The habit of building steep stairs didn't end with the 'golden century'. Buildings of the 'Amsterdam School', prevalent in the 1920s, also have quite steep stairways. I think in the postwar period the vertiginous styling began to fade, and newer building codes have made stair-climbing less of an extreme sport. A secondary effect of the steepness and narrowness was to make it impractical to move furniture in and out of a house via staircases. 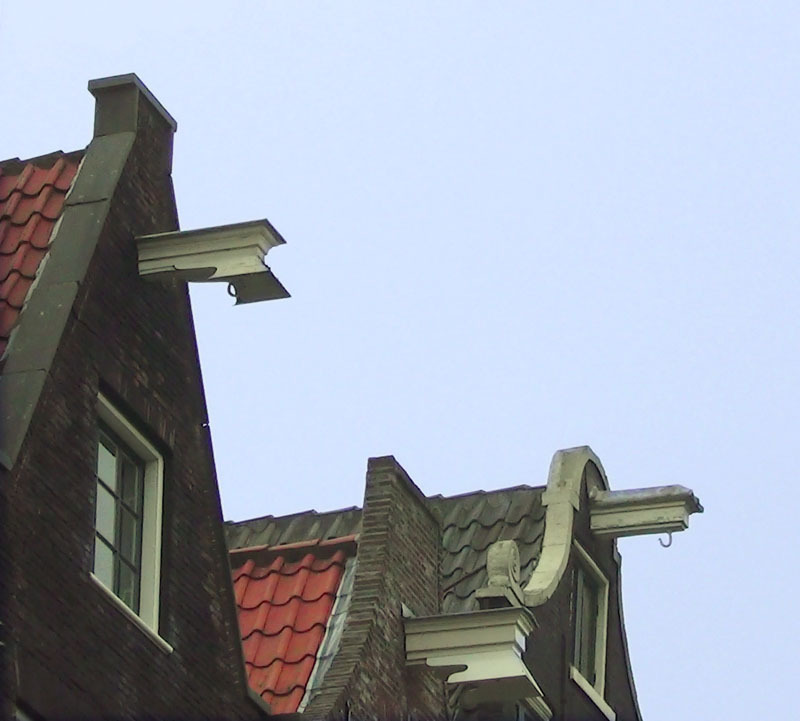 That's why so many Amsterdam buildings have the characteristic hook at the top of the facade. Movers can use a rope and pulley to hoist stuff up outside the building, and bring it in through a front window.